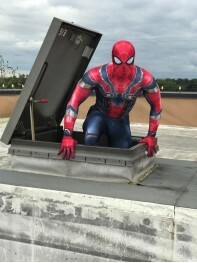 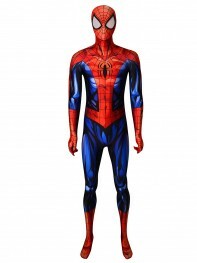 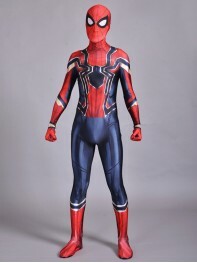 Spider-Man Suit PS4 Classic Spider-Man Cosplay Costume1) Printed on 4-way stretch spandex.2) Permane..
Spider-Man Suit Far From Home Printed Spider-Man Costume1) Printed on 4-way stretch spandex.2) Perma..
Spider-Man：Far From Home Printed Spider-Man Costume1) Printed on 4-way stretch spandex.2) Permanent ..
Spider-Man：Far From Home Cosplay Costume1) Printed on 4-way stretch spandex.2) Permanent color. 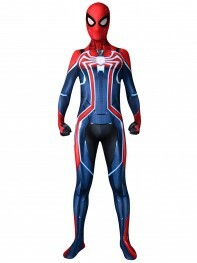 Neve..
Spider-Man PS4 Insomniac Games Version Spider-Man Cosplay Costume1) Printed on 4-way stretch spandex..
Venom 2018 She-Venom Anne Weying Printed Costume1) Printed on 4-way stretch spandex.2) Permanent col..
We recommend the New MUC Iron Spider-man Costume related to this costume: Comparison Between Iron Sp..
We recommend the Homecoming Iron Spider-man related to this costume: Comparison Between Spider ..
Spider-Man Costume All-New Spider-Man Suit1) Printed on 4-way stretch spandex.2) Permanent color. 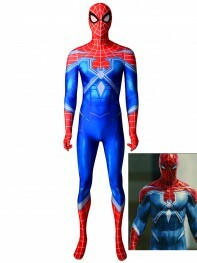 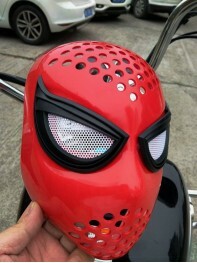 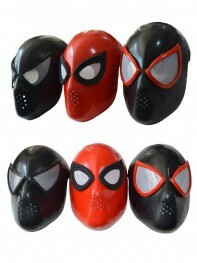 Ne..
Spider-Man Cosplay Accessories Faceshell Color: BlackMaterial: ABSNet Weight: 0.1kg Package Weight..
Spider-Man Costume Iron Spider MCU Version 3 Superhero Costume1) Printed on 4-way stretch spandex.2)..
Gwen Stacy Spider-Man Costume Ghost-Spider Cosplay Costume1) Printed on 4-way stretch spandex.2) Per..
2019 Newest Spider-man Rubber Eyes GlassesMade of rubber and resin.See-through removable lenses.Non ..
Gwen Stacy Suit Spider-Man: Into the Spider-Verse Superhero Costume1) Printed on 4-way stretch spand.. 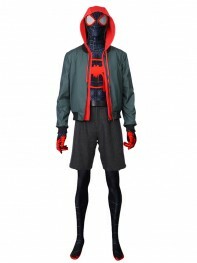 Into the Spider-Verse Spiderman Costume Miles Morales Deluxe Cosplay CostumeColor: As pictureFabric:.. 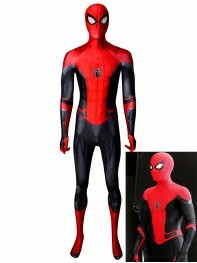 Newest Gwen Stacy Ghost-Spider Kids Cosplay Costume1) Printed on 4-way stretch spandex.2) Permanent ..
PS4 Spider-Man Dark Suit Spider-Man Cosplay Costume1) Printed on 4-way stretch spandex.2) Permanent ..
Red Spider-Man Resin Faceshell Color: RedMaterial: ResinNet Weight: 0.3kgPackage Weight: 0.6kgHead C..
Spider Armor MK IV Suit Spider-Man PS4 Games Costume1) Printed on 4-way stretch spandex.2) Permanent..
Spider-Man Into the Spider-Verse Spider-Man Noir Cosplay CostumeColor: As pictureFabric: Unifo..
Spider-Man PS4 Suit Spirit Spider Costume1) Printed on 4-way stretch spandex.2) Permanent color. Nev..
Spider-Man: Into the Spider-Verse Gwen Stacy Superhero Costume1) Printed on 4-way stretch spandex.2)..
Spider-Man：Far From Home Printed Spider-Man Cosplay Costume1) Printed on 4-way stretch spandex.2) Pe.. Ultimate Spider-Man Cosplay Suit Spider-Man Shattered Dimensions Costume1) Printed on 4-way stretch .. 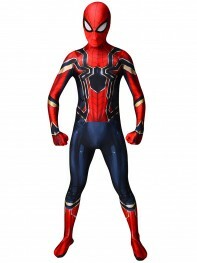 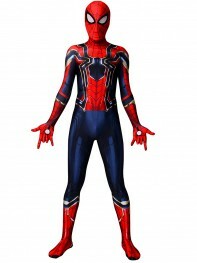 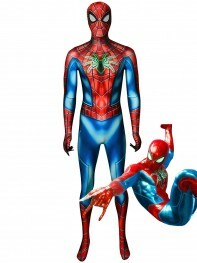 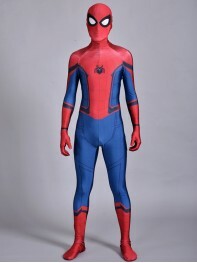 Newest Spiderman PS4 Velocity Suit Spiderman Cosplay Suit1) Printed on 4-way stretch spandex.2) Perm..
Spider-Man: Into the Spider-Verse Spider-Man Cosplay Costume 1) Printed on 4..
Spider-Man: Far From Home Film Version Costume1) Printed on 4-way stretch spandex.2) Permanent..
Possible Spider-Man Homecoming Sequel Cosplay Costume1) Printed on 4-way stretch spandex.2) Permanen..
Spider-Man Costume Gwen Stacy Ghost-Spider Cosplay Costume1) Printed on 4-way stretch spandex.2) Per..
Spider-Man Suit Bagley Spider-Man Cosplay Costume1) Printed on 4-way stretch spandex.2) Permanent co..
2018 Spider-Man: Into the Spider-Verse Miles Morales ISV Printing Superhero Costume1) Printed on 4-w.. 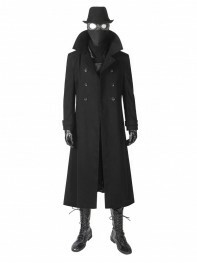 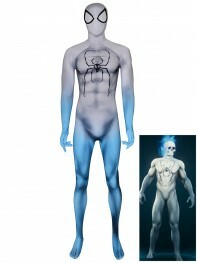 Agent Venom Ultimate Spider-Man Animated Printing Cosplay Costume1) Printed on 4-way stretch spandex.. 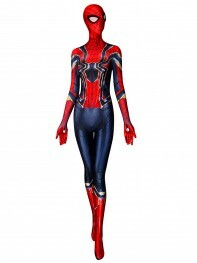 Female Spider-man Suit Iron Spider MCU V3 Superhero Costume1) Printed on 4-way stretch spandex.2) Pe..
Gwenom Spider Costume Girl New Venom Gwen Cosplay Suit1) Printed on 4-way stretch spandex.2) Default..
Insomniac Spider-man Costume PS4 Game Spiderman Cosplay Suit 1) Printed on 4-way stretch spande..
Iron Spider Avengers: Infinity Wars Version Cosplay Costume1) Printed on 4-way stretch spandex.2) Pe..